The island city-state is a cultural melting pot and one of the most prosperous nations in the world. 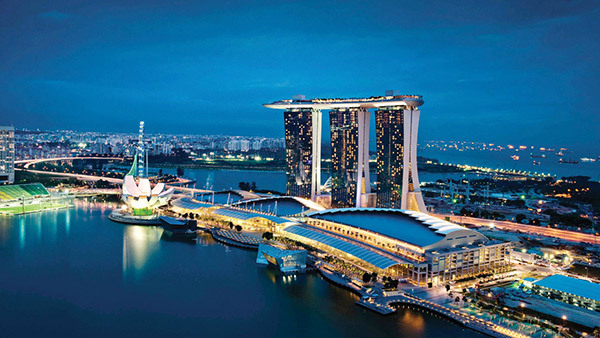 Singapore offers modern city features alongside a huge range of authentic cultural experiences. This squeaky-clean city is unlike anywhere else in South East Asia. As one of the greatest cultural melting pots in the world, there’s plenty of unique experiences to be found in Singapore. P&O: Indonesian Explorer cruise starts in Singapore and ends in Brisbane. Princess: A huge range of cruises depart Singapore for 5 to 21 nights travelling around Asia or on one-way cruises to Australia. Celebrity: From Singapore itineraries travel all across Asia, Australia and the Middle East. Royal Caribbean: Cruises throughout Asia, Australia and the Middle East from 3 to 14 nights duration.